Healing All Together is Snowline’s Children, Teens, and Families Bereavement Program. We are getting ready to start group for the 2017/2018 school year, so we wanted to share a little information on our innovative model. We based the program on the peer support model, developed by the internationally acclaimed Dougy Center, in Portland Oregon. We run the group every other week, on Thursday evenings, during the school year. At group, we have different rooms for young kids, teens, and parents. Each group is led by a professional and aided by trained volunteer facilitators. The great thing about the peer support model is that we meet the kids and teens where they are, in turns of their grief recovery process. Our philosophy is that everyone innately has the ability to heal; we just need to create a space where they can. Building on that, we let the participants, no matter their age, learn from each other. We don’t use a structured curriculum, but we certainly provide many different activities and ways for the kids and teens to interact. We even run a simultaneous group for parents, because studies show that the resilience of a child after a significant loss is strongly dependent on the resilience and coping of that child’s parent. 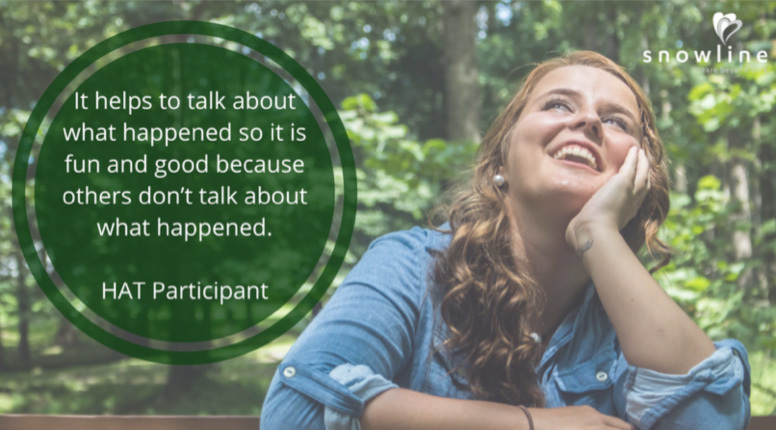 The parent group is a great place for parents to learn from each other, and be with parents who may be going through many of the same experiences with their children. If you want to learn more about the program, click here. If you want to donate to All Together, click here. And, if you want to be one of our amazing volunteers, click here.